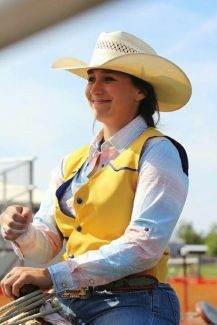 South Dakota State University rodeo athlete Jacey Hupp has had more than her share of tough breaks this fall. 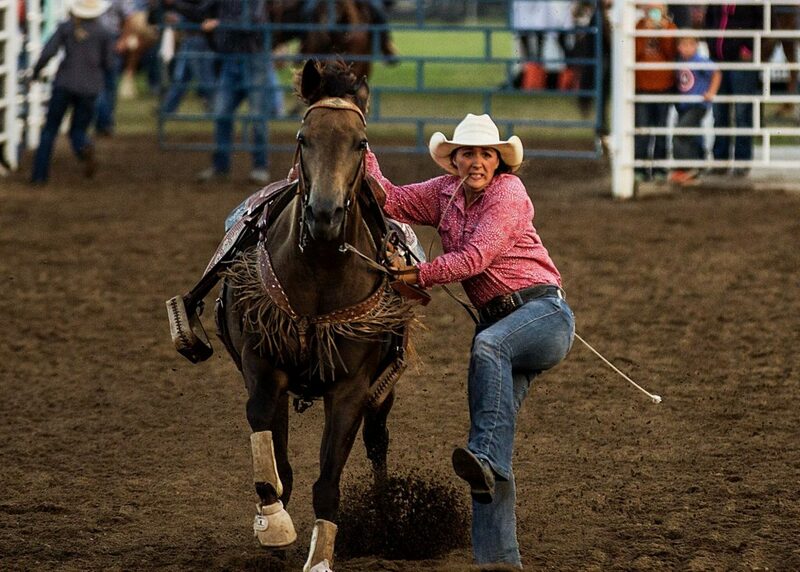 In early October, she was kicked in the shin after her horse bucked while at practice, resulting in six stitches. At the Ty Tuff Challenge Goat Tying Jackpot July 28, Jacey left with first place and a cracked heel. Her first goat tying run back at college was the first since that injury. Then it got worse. On Oct. 6, the honda on her rope hit her in the eye. Hupp was competing in a team roping jackpot in Nebraska. She had headed a steer, dallied, and ducked left to turn it for her heeler, and looked back to see her honda flying in her direction. "They were a good pen of steers that tried all day. In the third round out of four, I drew one that was a little slower than the others," Jacey said. 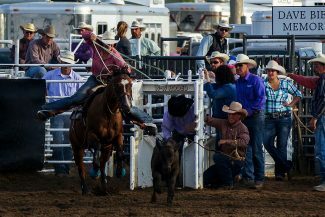 "I roped slick horns, pulled my slack and went left just as I had in the other rounds, but this time, as I went to my horn to dally I put another wave in my rope causing it to creep off the left horn after I had already committed to going left. The rope proceeded to creep down the right horn and eventually hit me directly in my right eye. It happened so fast." Jacey only remembers stepping off her horse while people around her were yelling, then taking a bouncy pickup ride to the hospital in McCook, Nebraska, near the event, seven hours from her hometown of Huron, South Dakota. Hoping to better herself, she had traveled to the roping during a rare weekend off college rodeos, but she left with traumatic cataract developing, a severely swollen cornea, a bruised retina, a hemorrhage next to her optic nerve, and a blown pupil, resulting in no vision in her right eye. At her weekly appointments with an eye specialist, Jacey has been told that there has been little change, and she may need pupil and cataract surgery, though since the eye heals from the outside in, she has received very few firm answers. "Essentially, we don't know much. There's so much swelling and bleeding in there, they can't get a good look," she said. "So far I don't have vision in it, and the blood spots are erupting. There's still so much going on. It's a little frustrating." Jacey has been limiting all activity but finally returned to classes Tuesday of last week. She fights light and noise sensitivity, and while her left eye has perfect vision, she often experiences blurriness and double vision due to the extra strain on that eye from not having its counterpart. "She still has issues with bruised retina, but the doctor is glad it is still attached and fluid in the retina has declined. She will be highly prone to a retina detachment, especially these first few months, so we're glad it has remained attached," Jacey's mom LaDonna Hupp said. "It might be two to three months or up to two years for healing and regain of vision. The doctor said she's doubtful it will be 100 percent." After her injury, Jacey got word from SDSU President Barry Dunn not to worry about a thing. "When you go to university, you can feel like a little fish in a big sea, but my school has been behind me on this," Jacey said. Typically, rodeo students are only granted additional years if they work toward their masters degree. As for her senior year of rodeoing at SDSU, where her parents, sister, and brother have also attended, she was sitting pretty and feeling good. "I was having a phenomenal semester. Every round of goat tying, I was either first or second," Jacey said. "I was sitting good in all the events, my horses were working good, I was roping good. It was pretty devastating." In all of her past years of college rodeoing, she has qualified for National College Rodeo Association Finals in Casper, Wyoming. She wound up third in the goat tying average her freshman year, won a round of goat tying her sophomore year, and ended fifth in the goat tying average last year. Jacey also earned reserve all-around cowgirl in her region last year. 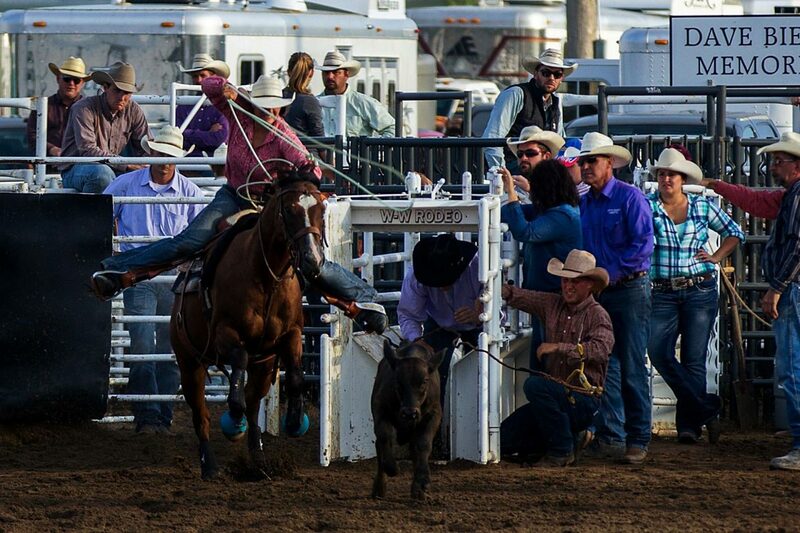 "Jacey had injuries coming in to the season with a bruised heel after winning a huge goat tying in North Dakota but took just enough time off to get by with some pain. 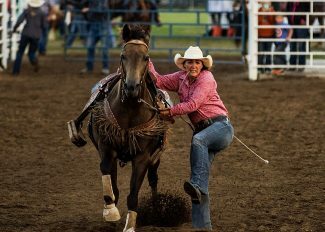 As that started to get better she got bucked off and kicked in the leg that required six stitches, three days later the rope got her eye," said her rodeo coach Ron Skovly. "With this injury we will have to evaluate throughout the winter on how it heals, what surgeries might have to be taken, and if she will need to submit for a medical hardship for her fourth year. At this time she is not allowed to do any activity that will jar her eye and head to help the healing." "The Lord said things were turning too quickly, and I needed to take a step back. I also had horses that weren't sound. I was rodeoing good, but outside of the arena was a struggle. I need to let everything heal," Jacey said. "I've definitely had an almost unbearable amount of support." Jacey had traveled to McCook with a friend from school, Madison Rau, who took care of her horses while she was at the hospital initially. Her roping partner at the Timed Event Fundraiser, Wyatt Killion, who she had just met that day, was able to pick another roping partner for the fourth round after Jacey's injury in round three. He and Jacey ended the event in third, and she received some money from it. "It was really nice of them to let Wyatt rope in round four! It's amazing how big the rodeo community is," she said. "Even my enemies and my biggest competitors don't wish this upon you. This allowed me to see how big my circle truly was." While she is healing, she will be missed by her coach and team. They are rooting for her to make a full comeback. "This has been devastating for her and our team this fall. We miss her pushing and coaching the goat tying practices every night. It will take time, but I know that she will adapt and overcome this injury, just as she has everything else that has happened in the past," Skovly said. "That is just her mentality and something that can't be taught easily at her age."